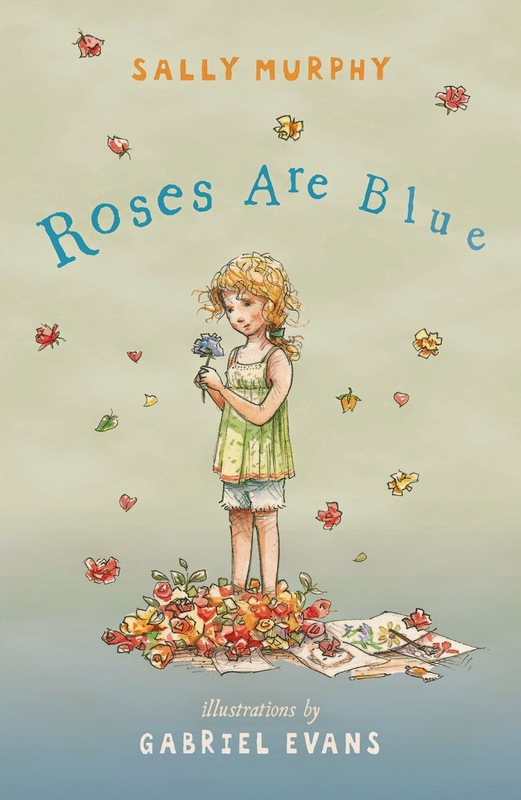 Roses are Blue is a illustrated children's book that even adults will fall in love with, including myself. 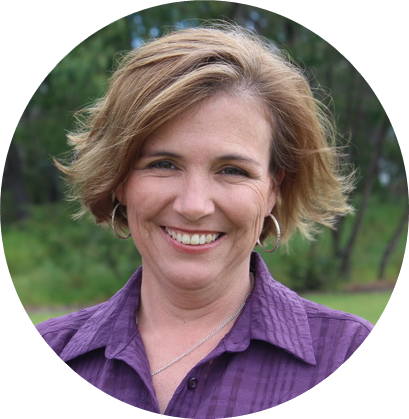 Not only is Sally an accomplished author, but her previous children's books have won impressive awards such as the Children's Independent Book of the Year, Premier Awards and also Speech Pathology Australia Book of the Year awards. She's a writer, she's a hard working mum of six, so who is Sally Murphy and what inspired Roses are Blue? With thanks to Walker Books Australia, I was fortunate to nab an interview with the woman herself. Roses are Blue is out now in all great bookshops. 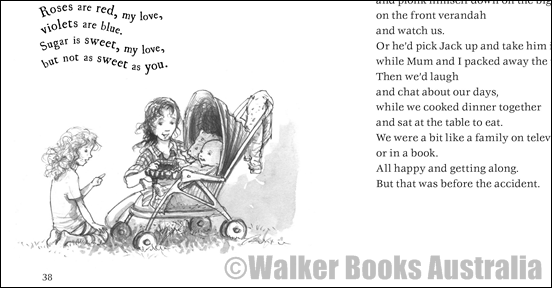 Roses are Blue was a beautiful story about family, diversity and acceptance, how did the concept come about? I started with a thought about myself. I'm a mother of six, and can be a bit embarrassing at times. I sing (badly) in public, talk to strangers in supermarket queues, laugh loudly… Anyway, I wondered what it would like if your mother was really very different, and you were embarrassed about that. Of course, I realised that all mothers are different – and we all have the propensity to be embarrassing, it’s in the job description – so I wondered just how different a mother can be. When I started to get to know Amber, I realised that the hardest thing for her was how different her mother was from the Mums he was last year. I also realised that more than being embarrassed, she is just really missing that old mum, and struggling with the change. The recent campaign in which readers called for more diversity in young adult novels, do you believe we need more diversity in our children's books as well? Yes, I think we need diversity in books of all kinds. Characters from different cultures, different family structures, people of disability, genders and so on. It’s important for every child to have the possibility of seeing themselves reflected in literature, and it’s also important for children to live lots of different experiences vicariously through the books they read. Amber’s character is an incredibly beautiful and bright young girl, who or what was the inspiration behind her character? Thank you. I feel like she’s my 'baby', so it’s lovely to know that people connect with her. To be honest, I’m never quite sure where my characters come from – they seem to tell me their stories and how they react to them. As I write I find myself just knowing how the character will react to the given situation. For example, in Roses are Blue, when I decided Amber wasn’t going to win the art competition, I knew she would have mixed emotions, especially when she wanted her mum to be proud of her. But I also knew she would be gracious and, ultimately, happy for her friend. Having six children yourself, how do you find the time to juggle between family life and writing? I make time. It’s probably a bit easier now that they’re all teens or older, which means they’re relatively independent and, of course, out of the house on school / work days. I’ve always written in snatches. When the children were little, it was when they were asleep, or maybe on a notebook while the played, or on a scrap of paper while I cooked dinner. I’m lucky that now I have much longer stretches, but I’m still often on the go and so still often write in notebooks, or on my ipad in the car during footy training. I do try to do most of my writing when I have the house to myself, so that I can be more present when people are at home. 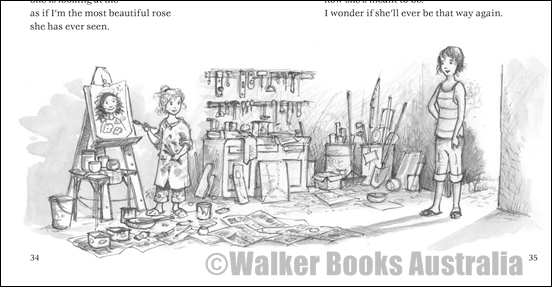 I adored the whimsical illustrations throughout Roses are Blue, what's the process behind including illustrations to a children's book, and did you work closely with illustrator Gabriel Evans in that regard? The illustrations in Roses are Blue are simply gorgeous. Gabriel Evans is an incredible artist. You're an award winning author who is held in high regard, what has been your greatest achievement professionally so far? Oh shucks. I’m blushing. I sometimes forget that I’m anyone other than a slightly odd mother with many insecurities. But it is very cool to be an author and to think that people admire and enjoy my work. In some ways my greatest professional achievement was just getting published in the first place. It took years of rejections, and refining my craft, and being rejected again until my work was good enough and on the right desk at the right time. Other than that, I guess I’m pretty proud of my various awards because they’re affirmation that people think my work worthy of note. Another thing I’m really proud of is that kids read and like my books. I am always delighted when a child says ‘that’s my favourite book’ or when a parent tells me how reading my book helped their child in some way. What's next for Sally Murphy? More writing. I’m finishing a historical novel at the moment and have some picture books in the works. I’ve also just started a PhD focussing on children’s poetry and, as part of that I’ll be writing a new verse novel as well as poems for children. I’m also hoping someone can discover a cure for sleep, so that I can use more hours of the day to write all the things I want to write! I’m a mum, wife, daughter, teacher, speaker, web site manager, reviewer, story teller, PhD Candidate and, of course, author. While that sounds like a lot of things to be at once, I still find time to play with my kids, read books, watch TV, cook, clean and a million other things. I seem to thrive on being busy and, when I see a gap, I quickly plug it with another project. I was born in Perth, Western Australia. I had four older sisters and an older brother but it is a lie that the youngest child gets spoilt – even if my siblings don’t believe that. As one of six kids I guess I always had someone to play with, but when they were all at school I also had lots of time by myself, when I would invent little fantasy worlds. Should have known then I’d grow up to be a writer! Thanks so much for having me visit. I enjoyed being grilled. It was my absolute pleasure Sally, thanks for agreeing to be grilled. Have loved following the tour.